The BlackBerry Messenger application has now passed this vital milestone since its launch in 2013. It has been a year and a half since the BBM mobile app first became available on the Google Play store so that it could be used by Android device owners, and now it has broken past a very important milestone, having reached 100 million downloads. The BBM stickers have also been making some important progress, as they have been sent over one billion times. Users on Android devices are hooked on the mobile app stickers from BBM, as they have sent them over one billion times in a period of a year and a half. 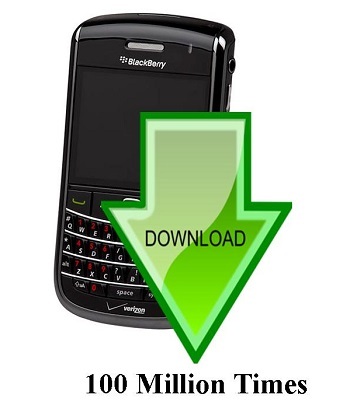 This, and the increase in the downloads of the messenger app has, according to BlackBerry, helped to illustrate the “tremendous momentum” of their instant messaging service. That said, it is important to point out that the number of active users and the number of people who downloaded the service are not exactly the same thing. The comments from BlackBerry about the popularity of the mobile app shows a considerable and ongoing confidence. The company has revealed that it strongly believes that its own efforts will continue to help it to push its mobile messenger app figures higher and it will work to take advantage of this considerable momentum. Comparatively, when looking at other messenger application brands, such as ChatON from Samsung, that service has also broken the 100 million download mark at Android, but at the same time, it is not even being seen as valuable enough to be worthy of continuing onward. Samsung will be shutting down that service before the end of this year. Equally, WhatsApp currently has 700 million active monthly users – not just downloads – and they exchange an average daily 30 billion messages. That represents a usage that is 50 percent greater than the international SMS message market. Therefore, while the progress being made by the BBM mobile app should not be ignored, it is the growth that is important, not the actual milestone, so far, as it will have a long way to go before it can be considered a complete turnaround in this area, as well.